Let me apologize in advance if you have an Adele song running through your head for the rest of the day. (Or not, she is pretty great after all!) April 16 marked the end of my first 90 days at Health Forward. 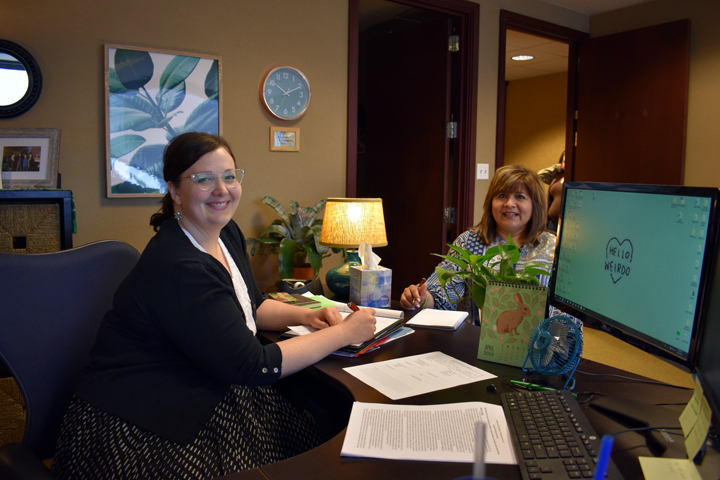 Ninety days of coming to the “other side,” moving from grant writing within the safety net world to supporting grantmaking here at Health Forward. 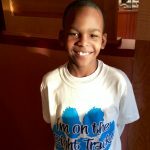 Much of my 10-year career in the nonprofit sector has been spent at organizations promoting the physical and mental health of children, families, and adults here in Kansas City. This is how I initially got to know Health Forward — as a supporter, funder, and partner of the work I was doing. My first job out of graduate school was at a tiny organization providing family-focused mental health services, and I remember coming to Health Forward to discuss an idea for a new school-based program. Health Forward associates provided valuable guidance and technical assistance that helped us write a successful proposal to serve urban youth impacted by trauma. Many of the folks I met back in 2008 are still at Health Forward today. Since then, my professional roles have ranged from case management to administrative support to program design to direct-practice social work to program management to development and fundraising — a laundry list that will look familiar to my fellow social workers. 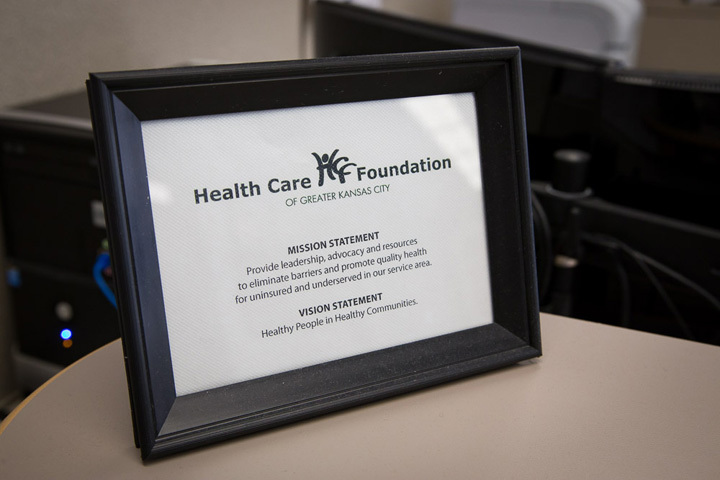 My most recent position was on the marketing and development team at the Kansas City CARE Clinic, a proud member of the local safety net health system. 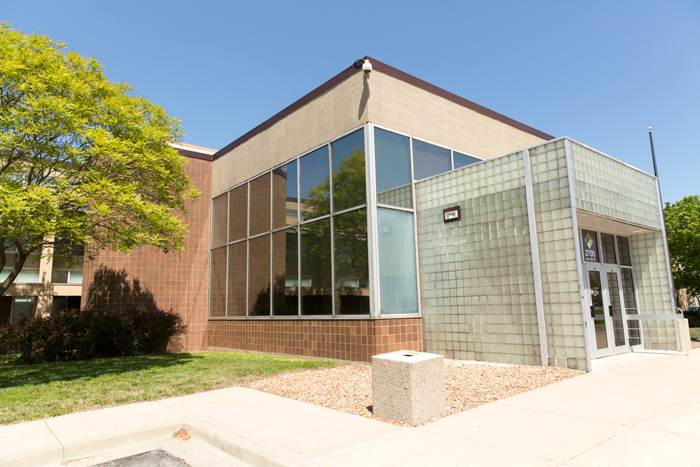 The clinic has served the KC community for more than 47 years, and I learned so much from my peers and its patients. The marketing and development team was responsible for securing funding to provide vital health services to thousands of patients each year. I coordinated the grant writing and reporting process, including numerous grants for Health Forward. This team also had the privilege of communicating the successes and struggles of the clinic’s programs and the impact on patients. This role expanded and informed my perspective on the true impact of health disparities. Supporting grantmaking at Health Forward will help me see these same issues through an even wider lens, looking at a larger set of needs and trends across organizations and communities in our funding region. While I was fortunate enough to know a number of people at Health Forward and be familiar with Health Forward’s funding priorities, my transition has still come with some surprises. Health Forward places a high value on curiosity and recognizes the importance of learning, asking questions, and thinking creatively. To facilitate this creativity (and many other processes), Health Forward is considering implementing a new grants management system. Much like grantees who struggle with electronic health records and donor databases to track their work and fundraising, Health Forward is challenged with the task of housing and analyzing important grantee information, and how to use that information as we respond to evolving health needs. I have also been excited to learn about diversity, equity, and inclusion efforts in philanthropy. On the foundation side, this means looking critically at application and evaluation processes to see how they impact access to community funds. Now, I’m excited to continue learning and contributing to Health Forward’s mission. In the new role of program associate, I support our program team by coordinating the grant cycles. With my grant writing experience, I am particularly focused on finding ways to improve our internal processes and the grantee experience, including accessibility and responsiveness. While I’ve only been on the “other side” for 90 days, I can already say that working in grantmaking is an enormous privilege. Those of us at Health Forward have a unique opportunity to amplify the great work being done by so many dedicated organizations in the community.